By this time next year, the company called “HP” will be a completely different beast, divided in half. 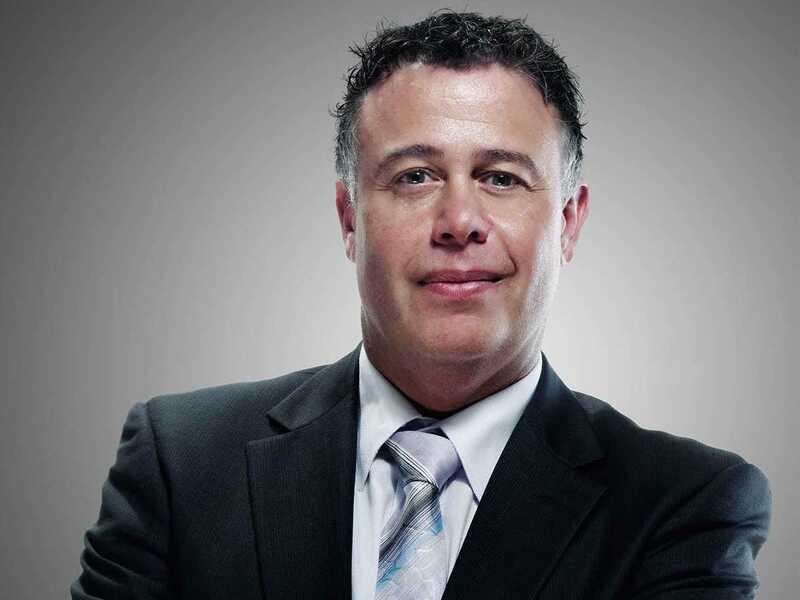 The PC/Printer division, called “HP Inc.” will be headed by Australian-born Dion Weisler. It’s been a meteoric ride for Weisler, 47, who joined HP only three years ago (January 2012) to run HP Asia Pacific & Japan Printing & Personal Systems (PPS). A year and a half later, he was promoted to take over the whole $US57 billion PPS division, replacing Todd Bradley, (after a quarter when PC revenues nosedived 20%). Whitman was still relatively new to the helm of HP. We understand her management style is to give executives the resources they say they need and if they don’t deliver, they’re gone. Sources point to the exit of Bradley and promotion of Weisler as an example. Weisler hasn’t exactly been avoiding the media since he was named CEO of the soon-to-be HP Inc. He talked to Mad Money’s Jim Cramer in late October, for instance, But he hasn’t been making himself exceptionally available for interviews either. Still, curiosity about him has ramped up since after HP announced that he would be the CEO of one of the two new businesses. Almost hand-in-hand, Weisler revealed his plans to turn HP Inc. into a successful, growing business again. Last month, he revealed includes releasing the special keyboard-less/mouse-less “blended reality” computer “Sprout” (on sale now in time for the holidays) and previewed its potentially game-changing 3D printer due out next year. He cut his teeth in the PC business at Acer, spending 11 years there before leaving to work a few jobs in his home country of Australia. He soon left again, for Singapore and China, rejoining the PC business again for Lenovo. At Lenovo, he mastered the supply chain skills it takes to profitably build PCs with their razor thin margins. He worked with Rory Read while there, who became CEO of AMD, reports Bloomberg. He came to HP from Lenovo. He had a break-out moment almost immediately when he won a contract to supply 1.5 million PCs to a buyer in India that HP wasn’t originally even going to bid on. The previous HP execs thought they’d lose money on the deal. Weisler went through every part — the screws, the plastic, the metal, and so on — and reduced the cost by $US67.40 per PC, and won the contract, reports Bloomberg. He likewise boosted HP’s profits in the low-end PC business, including Chromebooks. Shortly after Weisler took over (PPS), HP’s business started growing again, earning him public praise from Whitman. Weisler has a wry sense of humour, according to former HP executive Charles House, co-author of “The HP Phenomenon: Innovation and Business Transformation.” House, who is executive director at InnovaScapes Institute, met Weisler earlier this year at a gathering of HP executives at a Stanford Graduate Business School workshop, reports Fortune’s Katherine Noyes. That’s where Weisler told a story about himself about how he learned how to make it in Asia, a huge growth area of the world where many U.S. companies struggle. The story goes: Weisler was about to sign a huge deal with a Japanese company. The night before the deal was to be signed, Weisler dined in celebration with the company’s president. Drinks were flowing and after a while, Weisler stopped imbibing. The next day, the customer cancelled the order. Weisler called the customer daily. After three months of calls, the man finally talked to him, explaining he cancelled the order because he “couldn’t trust” a supplier that wouldn’t drink with him, House recounted on his blog, HP Phenomenon. He’s very hands-on in trying to create new categories of devices. He personally oversaw the development the keyboard-less/mouse-less Sprout PC, which lets you scan physical objects and work with them via touchscreen. He took the prototype home for several months, playing with it and contacting engineers on evenings and weekends with tweaks and feedback, reports Bloomberg. But the real game-changer could be HP’s 3D printer, he says. It promises to be faster, handle more types of materials and be more accurate, all while being affordable. If that’s true, then HP Inc. and Weisler both have bright futures.